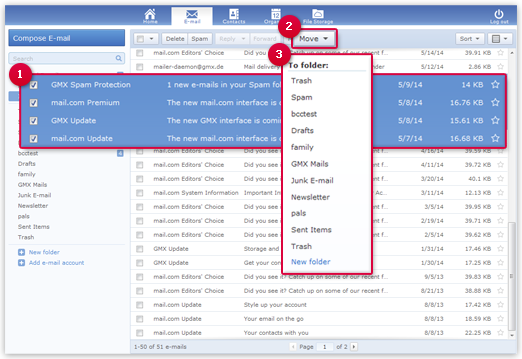 Manage your e-mail in folders and keep an overview over them. You can move them in a folder with drag & drop or with a button. 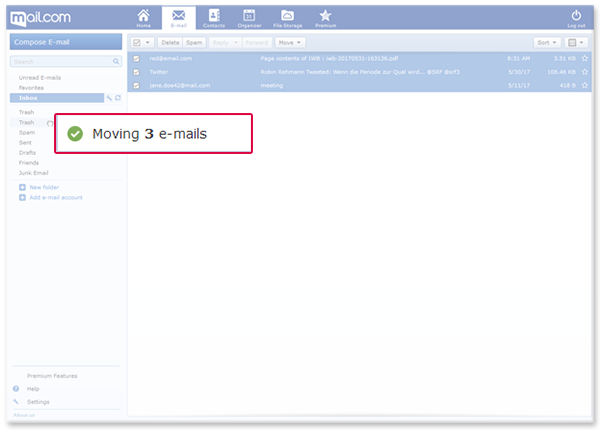 Click the name of the folder into which you want to move the e-mail. Click Move. A list of your folders appears.